Barry Alfonso Are those radioactive cooties lighting up the pink sprinkles on your cruller? 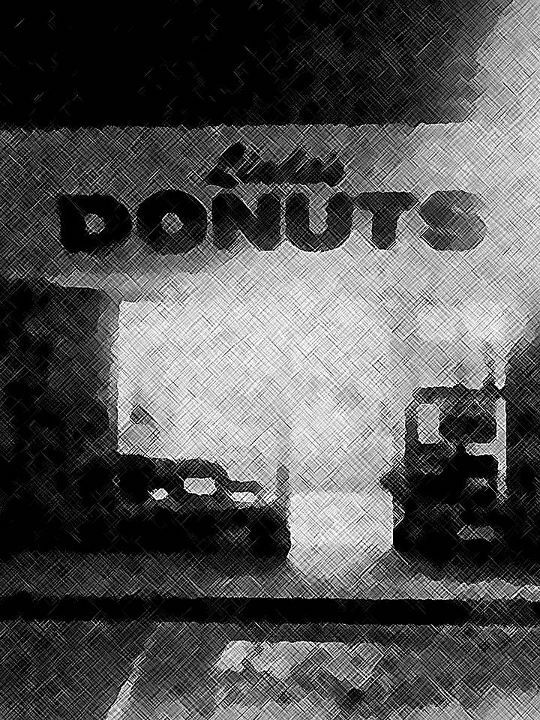 Ted Burke Those are the donuts with the Magic San Onofre Glow Sparkles. Barry Alfonso One bite and Ed Clark's forehead will grow another three inches! Barry Alfonso Japanese donuts line the runways of Lindberg Field and can be seen from Mt. Laguna. Does the weird steam still rise from the kettles of boiling dough? Do the colored sprinkles of our wayward dreams still adorn the jelly-stuffed morsels of our workaday moments? Is the coffee happening?